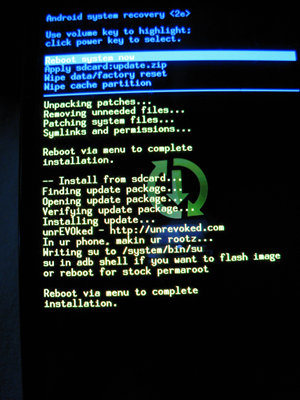 It looks like the Unrevoked team, the same one that brought you the one-click EVO root, has been playing around with some race conditions apparently present during the Incredibles' boot process, which allowed them to slowly and painfully root a couple of their phones. The process is currently very manual and requires a lot of patience and careful timing but the Unrevoked team is not giving up, hoping to come up with a reliable method as soon as possible (they've been at it all day today). 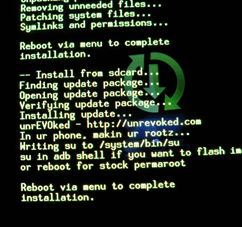 The team offered a screenshot of one of their Incredibles documenting the result of the rooting procedure, showing the su binary written to /system/bin/su. Additionally, now confirmations from xda-developers forum members started to appear. If you are really anxious to root your Incredible, you can give it a go by following the instructions here. I'm not going to include them here, as they're changing rapidly. Prepare to spend some time rebooting the phone multiple times and trying to get the timing right. If you're not as patient, keep watching the forum post and, of course, AndroidPolice reports, for a better, more painless method, available as soon as it's discovered. The end should be near now, folks.